The Nevada law is scheduled to take effect with the 2019-2020 school year. When Florida’s law — dubbed Just Read, Florida — was passed the Nation’s Report Card, prepared by the National Assessment of Educational Progress (or lack thereof), showed only 27 percent of Florida fourth graders were proficient in reading, 4 points below the national rate. In 2017, 41 percent of Florida fourth graders were proficient, 4 points above the national rate. Facing a certain veto, the bill was never brought up for a vote. There is a Democrat in the governor’s mansion now. 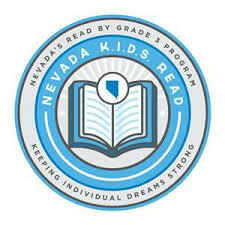 Nevada’s State Board of Education this past August announced policies and standards that have already reduced the number of third graders who might be required to repeat third grade due to reading deficiency. “While initial data indicates a significant number of students may be retained in third grade, the good-cause exemptions ensure fairness in this process,” Steve Canavero, superintendent of public instruction, was quoted as saying in a press release at the time. “I can’t emphasize enough, the goal of Read by Grade 3 is not to punish anyone, rather the goal of this program is to enhance a student’s ability to read successfully — thus ensuring success throughout his/her entire academic experience.” AB287 would greatly reduce the chance of success. Next story AB325 is stepping forward to take the place of the other two.